Kadima Knesset Member Ze'ev Boim has passed away in Milwaukee, WI after a long battle with pancreatic cancer. 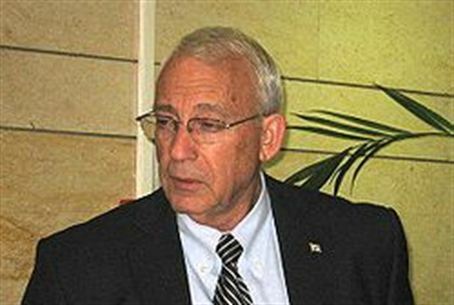 Kadima Knesset Member Ze'ev Boim has passed away after a long battle with pancreatic cancer. Boim, 67, died Friday in a hospital in Milwaukee, Wisconsin. An educator, Boim was a principal at the Rogozin School in Kiryat Gat, where he was subsequently elected mayor in 1986. The Jerusalem native entered the Knesset in 1996 through the Likud party, serving in the 14th through 18th sessions of the parliament. The MK was one of a group of Likud members who joined then-Prime Minister Ariel Sharon in forming the Kadima party. In 2006 he was named as Minister of Housing and Construction and as Minister of Agriculture in the Sharon cabinet. He also served as Deputy Minister of Defense, chairman of the coalition and chairman of the Likud during that time. Before he succumbed to his illness, Boim served as chairman of the Knesset Subcommittee on Home Front Readiness. His place will reportedly be filled by Dr. Doron Avital, a former commander of the elite Sayeret Matkal unit in the IDF. Boim is survived by his wife Edna, three children and seven grandchildren.